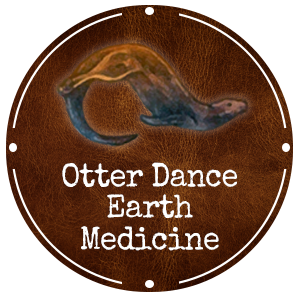 Otter Dance Earth Medicine Practitioners are dedicated and committed individuals who have felt the calling to serve the community in a deep and meaningful way as healers and ceremonialists. Each Practitioner as completed the Shamanic Studies program and the practicum work required by the Otter Dance School of Earth Medicine. These Practitioners are available through their own healing practices and many have additional training and skills to help their clients in a variety of ways. They are committed to a high code of ethics and integrity in their practices and interactions with their clients. Each Practitioner must complete continuing education and practical work through Otter Dance School of Earth Medicine in order to be certified and endorsed by Otter Dance and Robbie Warren, Otter Woman Standing. Sarah Hemphill is an apprentice to Robbie Warren Hill, OtterWoman Standing, and sacred ceremonialist and yogini. A dancer out of the womb, Sarah’s first career led her to teach dance, yoga and meditation to all ages. Sarah then sought a different path, gained her MBA from Wake Forest University in 2008 and had worked almost a decade as a leader in corporate America when her path unexpectedly brought her into connection with Robbie. Thus, a great remembering and quite an undoing quickly unfolded. Now, as a teacher trained by Circle Yoga Shala in the Ozarks of Arkansas, Sarah currently lives as an apprentice on their organic farm and training center where she continues the study of yoga for therapeutic application and spiritual development as well as the art of homesteading. Also a hobbyist distiller and whiskey lover, Sarah’s path has unexpectedly and delightedly led her to uncover the science and art of medicinal distillation and plant medicine as an avenue for healing. As she continues her work in apprenticeship to Robbie and connection to Spirit, Sarah weaves and integrates her experiences and passions to reveal her own ‘medicine’ and be of service in a good way. Her business, www.sarahssacreddistillery.com, is a reflection of this act of weaving and pursuing her dreams and place of service. Over 13 years ago, LeAnne Vreeland began connecting to her ancestors, the indigenous tribe known as the Tainos. Years later she became a Reiki Practitioner, Intuitive Reader /Coach, Holistic Practitioner, and Hypnotherapist. Through attending many sacred ceremonies and soul searching, she discovered a true passion for the Sacredness of the Red Road. Knowledge about her indigenous background, soul seeking, sacred ceremony, spiritual modalities and many different religions have opened the path to living and embracing The Red Road.